Rev Dr Stephen Spence's Blog | Personal reflections on questions of interest to me. Advent, the season before Christmas, is a time of waiting. We wait because that which is promised has not yet come in its fullness. It draws its theological strength from, among other things, Luke 1 and the song/prayer of Mary. Advent joins today’s Church with Mary’s longing for the coming Messiah and the early’s Church’s prayer (in the language of Jesus) maranatha – our Lord come! Waiting in darkness. 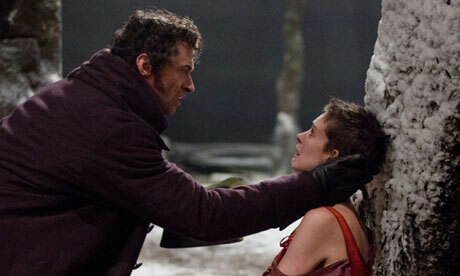 Troubled by evil – both the Great Horrors and the petty personal pains. Hopeful that this is not all there is; that this is not the way it ought to be. Uncertain whether this hope is built upon a divine promise or upon personal dreams. Waiting in darkness. Awed by star-lights burning holes of divine promise into a despairing sky: love, joy, peace, patience, kindness, goodness, faithfulness, gentleness, and self-control. Daily evidence of a divine presence active within our stories. These shine constant in the night providing true compass points by which we can navigate through the reefs that would shipwreck our lives. Waiting in darkness. Knowing that it is only the possibility of light that confirms the alienness for us of darkness. The darkness is not our reality; it is not all there is. So we wait in the darkness, looking to the horizon for the dawn that heralds the promised new day. In the beginning God speaks light for us. Then, in Bethlehem, at a time of new beginning God speaks light to us. The light that shines in the darkness. The light that no darkness can overcome. The light that burns within all lesser lights, giving to each a power to transform despair into hope. We sing songs of Advent in the midst of darkness because the Christmas Light burns within us. Our songs challenge the alien darkness with divine promises of a sun lit world in which there are no shadows – of things past, of thing present, or even of things to come. We herald the Christmas dawn with rooster songs of hope that offer light and life to all. Blessed are we who believe that God keeps his promises! I wrote this for Tabor Adelaide’s School of Ministry, Theology, and Culture’s new blog “Mana.” (Well worth following.) I thought, however, there might be those interested in reading this (or using it as the basis for a Bible study) who don’t read Mana yet, so I am re-blogging it here. Being victimized is a common human experience and the desire for revenge is just as common a human experience. But history and personal experience has taught us that revenge doesn’t contribute to the creation of a new, healthier community; revenge looks to the past and so destroys the future. Even justice exercised on behalf of the victims is not enough to create new communities of love. 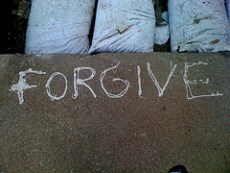 Only (deep and painful) forgiveness can build a future by overcoming exclusion in favour of embrace. I am not a glowworm – thank God! I had the harmonies of the Mills Brothers singing “Shine little glow worm, glimmer, shimmer,” in my head providing the sound track for my recent trip through the Waitomo Glowworm Caves in New Zealand. In the darkness of these ancient limestone caves the roof looks like a night sky lit with hundreds of shining stars. Each star is a glowworm doing its thing – glowing. And it is quite a sight. And in this case it can truly be said that beauty is in the eye of the beholder – beauty certainly isn’t in the intent of the glowworm who glows as part of the circle of (its) life. According to our Maori guide, the life cycle of the glowworm begins when the earliest of those hatching eat its yet-to-hatch siblings. (In this family you really do want to get to the table first!) But it’s not evil, it just is. It lives, it eats, it cocoons itself, it mates, it lays eggs, and it dies – its nine months are up. It doesn’t have relationships and it doesn’t build cultures. It does glow but it doesn’t see the beauty of its glowing. It seems kind of pointless and, on their behalf, I sigh with an existential sigh. And this sighing on behalf of a glowworm who is unaware of my existence makes me think that my angst lies elsewhere. I just can’t see the point of a life that consists merely of the circle of life – the hedonist’s eating, doing, sleeping, sexing, dying – even if it is a pleasurable existence. I need a reality outside of my own existence to give beauty and meaning to my existence. I need a transcendent God to give capital-L Life, as well as my own small-l life, meaning. Without God the difference between the glowworm’s nine months and my “three score and ten” years is nothing. For without a transcendent God our actions are without value, they are just reactions to environmental stimuli. They lack beauty, they lack justice, they lack joy. Even relationships become devalued as means to an end if we are nothing but animated bodies. So it can be argued that I am a Christian because I couldn’t bare to be a nihilist. But might it not equally be argued that I couldn’t bare to be a nihilist because I am not meant to be able to find satisfaction in merely existing. The glowworm doesn’t experience existential despair because it is not created in the image of God. But I am. I am more than an animated body, I am an enfleshed soul. I am created for a relationship with a transcendent God whose beholding of me gives my “glowing” beauty. As C. S. Lewis has suggested, perhaps our thirst for God points to the existence of God in the same way our thirst points to the existence of water. The Apostle Paul demonstrates that followers of Jesus live below their means as part of their gospel commitment to the needs of the poor. This is the argument of Bruce Longenecker in his 2010 book, Remember the Poor: Paul, Poverty, and the Greco-Roman World (Eerdmans). In this comprehensive book Longenecker takes issue with the traditional view that sees Jesus as concerned with the poor and Paul as concerned with how we escape Sin and Death. Longenecker demonstrates that this misreading of Paul is caused by a number of false assumptions and inadequate attention to the Jewishness of the early Christian movement. (No-one can read Moses and the Prophets and not be aware of God’s concern for the poor; Jesus makes this point dramatically inescapable in his parable of “The Rich Man and Lazarus,” Luke 16.) Longenecker concludes, “care for the indigenous poor with the Greco-Roman world lay at the heart of Paul’s understanding of the ‘good news’ of the early Jesus-movement (although that good news is not in any way reducible simply to care for the poor)” (p.12). What has stuck me so far in my reading of Longenecker is the persuasive argument that Paul’s Roman citizenship, education level, and attitude to manual labour indicates that his pre-apostolic life had been lived at an economic and social level best described as “moderate surplus” – a level that places him in the top 20% of society (but outside the top 3% “elites”). However, his letters indicate that Paul choose to live at the lower economic and social level best described as “stable near substance level” (allowing him to usually finance his own ministry) but sometimes dropping into the “subsistence level” – the level just above the very bottom 28% of society. As a follower of Jesus and a student of Paul I must ask myself, have I made a “self-imposed economic demotion” part of my discipleship? Or have I been content to worship Jesus in song without any change to my economic standing? Am I willing to follow Paul as he follows Jesus on the “road less travelled”? First an overview of the doctrine of Jesus’ divinity; then a prayer informed by the doctrine of Jesus’ divinity. The Bible identifies God uniquely as Creator of “all things” and, therefore, as Ruler of “all things.” There is an absolute line of division between God and “all things.” This is why only God can be worshipped. Surprisingly, then, the New Testament (NT) – reflecting the early church’s experience of Jesus – identifies Jesus on the God-side of that uncrossable line! Humans, spirits, and angels, are all on the created side of the line; but not Jesus. Jesus is Creator of “all things,” he is Ruler of “all things,” and, therefore, he is worshipped. Yet this shared identity of the Father and the Son never led the early Christians or the historical Church to the belief that there were two gods. There is only one God, with one story (i.e., with one identity), who is revealed as Father by the Son. On the basis of this shared identity of God, the NT concludes that Jesus is the ultimate and the unique revealer of God. Jesus is not merely one who teaches us about God. Jesus is the one who reveals God to us. To know Jesus is to know God. Prayer to the Divine Jesus. in you we have met our Maker and our Lord so we need search for meaning and truth nowhere else. In you we have found the One who called us by name, our search is over, we have found our God. In you is the life that is the light for all people. We were formed by you and for you. We thank you that even in your glory – far beyond our world or our understanding – you loved us enough to become Immanuel, God with us. And not just for a moment; you remain Immanuel, the One who will never leave us nor forsake us. We are humbled by the demonstration of your grace for you were prepared to do for us what we could not do for ourselves. Thank you for the cross. Thank you for you willingness to be both our High Priest and our perfect sacrifice. Lord Jesus, we hear your call and we obey. but Solomon calls you Compassion, and that is the most beautiful of all your names. First an overview of the doctrine of Revelation; then a prayer informed by the doctrine of God as Self-Revealer. Humanity has made many great discoveries but God is not one of them. God is not an object (a “thing”) that we can stumble upon. Nor can God be deduced from what we see around us. Each supposed “sign” is too ambivalent to provide us with specific data. Each deduction is tainted by our self-interest and our fears. Every religious or theological claim about the gods, ancient and modern, has been a guess based upon a guess. Each claim leads not to the discovery of God but to the creation of idols. God can only be known through revelation. It is only as God reveals himself that anything can be said about God – who he is or what he does. God is always the one who is active in revelation. Only God’s self-revelation can be a reliable basis for theology and religion. Faithful theology is always a response to God’s initiative of revelation. Yet our response to God’s revelation must be an engaged response for God reveals himself not as an object to be described but as a subject (a “person”) to be known. Word of God; Light in Our Darkness. Lost, uncertain, we stumble towards the sound of your call. But distracted and disorientated by the Siren call of our personal dreams and desires, we again find ourselves lost. Speak louder; shine brighter, we pray. Our ears are blocked by our self-interest. Our eyes are dimmed by our self-obsession. Speak to us, Word of God, not from the general works of your hand but from the special words of your heart. Shine for us, Light of the World, illuminating for us your face and not just your works. Our ears are blocked by our love of our comforts. Our eyes are dimmed by our endless pursuit of self-gratification. Speak clearly to us your name. Reveal to us your person. Illuminate for us your Way. Speak to us your Truth. Grant us a share in your Life. Then give to us the courage to see, to hear, and to be. Speak to us in the words of Jesus, the Word. Shine bright for us in the deeds of Jesus, Light of the World. Call us to yourself in the challenge of Jesus, Lord of Life. First an overview of the doctrine of the Trinity as the Christian Story of God; then a prayer informed by the doctrine of the Trinity. The common expression “Three persons, one God” is confusing and unhelpful for most contemporary Christians because they have a modern (mis)understanding of what it means to be a person. A person is not “an individual who chooses to live in relationship”; a person exists only in relationship. An individual is a fractured person who withholds from others some part of their “self.” This act of withholding is defensive and deceptive and is a consequence of sin, which separates all relationships. A person grows to become their most true self only in the act of giving him/herself to others. Empathy and openness is the basis of all relationships, of love itself. God is love.Three and One are not distinct realities of God. The oneness of God is not prior to the threeness of God. The Father, the Son, and the Spirit, do not – as three separate gods – choose to enter into a relationship of oneness. This would be an impossible mixture of tritheism and committee-ism. Nor is the threeness of God prior to the oneness of God. The external god does not split himself into three “modes of being” (again, tritheism; sometimes fourism), nor does the Father god emit from himself two other divine beings (some form of Arianism), nor does the one god take upon himself three distinct roles to play (modalism).God is relationship. There was never a time when this was not true. There will never be a time when this is not true. God is eternally relationship. A relationship requires otherness. God is both other (three) and relationship (one). God the Father and God the Son are not so-called in order to explain the origin of the Son (e.g., descended from the Father) but to define them in mutual relationship. A father is born the moment a son is born – they are mutually defining; a person is not a “father” until they have a “son.” If a father or son were to cease to be then the other, as father or son, would cease to be. An eternal Father needs an eternal Son. The Spirit of God is for many of us a less relational term. For us spirit can be considered an impersonal abstraction, lacking substance (cf. the KJV “Holy Ghost”). Yet the Spirit of God is personal – acting as a subject. The pneuma is the life and breath of any person; it is their true inner self and their true external expression. The Spirit of God is both personal (distinct/other) and essential (belonging to the oneness of relationship that is God).God is one in his threeness. God’s threeness is complete in his oneness. There is no part of the threeness that is ungiven to the one. God is relationship without remainder (Cunningham). God is wholly empathetic and open within himself. This form of relationship is described using the classic Greek term perichoresis. It is a dynamic concept in which the Father continually embraces/envelopes the Son who continually envelops the Spirit who continually envelops the Father who continually envelops… An eternal “dance” of relationship. (This is why no static, impersonal metaphor or diagram can capture the reality of an eternally dynamic relational God.) In the beginning God. This Trinitarian understanding of God means that prior to space and time, prior to material atoms and immaterial spirits, relationship existed. Relationship is fundamental to all of reality. This means that Trinity is not merely a theological truth to be learnt; it is an ethical truth to be lived. 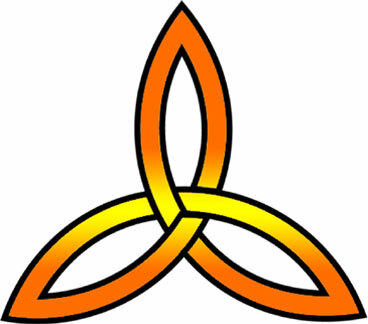 Triune God, eternally mutually indwelling Father, Son, Spirit. in an eternal dance of embracing and being embraced. We speak of “we” but know ourselves to be a collection of “I”s. We cannot open ourselves to “the other” without fear. We cannot embrace “the other” without reserve. We seek unity by imposing conformity. You give to one another without diminishing; you receive without inflating. You are known through your individual acts; yet you never act alone. a revelation of our Triune God. Can Theology Help Your Prayers? Prayer is speaking with God. This suggests to me that before we speak our prayers we must have some sense of who we speak our prayers to. For this reason, Christian prayers are not prayers spoken by Christians but prayers spoken in response to the God who has revealed himself distinctively through Jesus of Nazareth. This is not to say that God does not hear the prayers of those who speak their prayers to a misconceived god; rather, it is to suggest that our prayer will be more truly a speaking with God when we speak in response to the God who has first spoken in self-revelation to us. Seeking to listen to God describe himself is the first task of theology. And, therefore, I would argue, that studying theology is a necessary precursor to praying. I know this will be considered by some to be the self-justifying ravings of a theology lecturer (my current ministry) but I offer it to you for consideration in my first role as a pastor. Many Christians have become bored with their prayers, which seem to be an ever expanding list of wants rather than a time of genuine spiritual communion. The cure for this is not to focus inward in order to manipulate our emotions to a more felt depth of piety. Rather, we need to focus upon the majesty of a God who exists beyond our limited and limiting understanding of who he is. We must first listen to him as he reveals himself to us – prayer begins when God speaks not when we first speak. And then we must speak in response to this God. These prayers – spoken in response to a deeper sense of God – cannot help but draw us into a deeper communion with God. The prayers I will post (one per week, starting next week) are examples of trying to pray in response to insights gained from listening to God reveal himself. I have attempted to hear God speak by studying theology as an act of worship rather than as merely an academic discipline. I don’t claim that they are more spiritual that any other person’s prayers. They are just some examples of prayers inspired by studying theology. People die. And the world keeps turning; it doesn’t even miss a beat. Most of the time we don’t notice the world’s indifference to death, because we are the indifferent ones. In our neighbourhood or just outside our network of friends someone is devastated by the death of a loved one and we don’t notice, we don’t miss a beat. Life goes on. But, then, it happens to us. We are the ones devastated by death. It is as if a wall has collapsed upon us; we can’t breathe, we can’t move, we can’t see the light. And yet the world doesn’t miss a beat. It is night. We go to bed. We don’t sleep, but the clock ticks on. And, whether we have slept or sobbed our way through the dark hours, the sun comes up, and people begin the day as if nothing of significance had happened. But it has. In the immediate aftermath those near to us give sympathy and casseroles, “you have to eat; life goes on.” There is the funeral. For a moment it does seem that the world has noticed. But the funeral ends. People move on. Days turn into weeks, which turn into months. The hole in our life remains, but nobody wants to hear about it again. This can lead mourners to isolation and to loneliness. To those around them they seem to be coping – they get out of bed, they go to work, they contribute. But inside their head, inside their heart, they are changed in ways they struggle to acknowledge and to have acknowledged. This is why anniversaries are important. Recently, as a nation, we acknowledged the continuing pain and continuing loss of those affected by the Bali bombing. It was all over the newspapers. Fresh tears for old but still present pains. An opportunity for those of us who have lost track of our friend’s or our neighbour’s ever-present loss to reconnect with their reality. Anniversaries can ease the sense of isolation of those who carry grief and help ease their loneliness. In the church year, on November 1st, there is a day set aside as All Saints Day. Different churches interpret this day in different ways. Common to them all is the awareness of “the communion of saints” and acknowledgment of the “dear departed.” But there is no rule that says we can’t use it to comfort those who grieve for their dear departed. Those who grieve don’t need anniversaries to remember their grief. But they do need anniversaries to legitimate expressing their grief. And those of us who aren’t grieving do need prompts to remind us that it is necessary to speak of the dead with those who still feel their loss. Together in loss and grief; not just once at the funeral, but annually on All Saints Day.